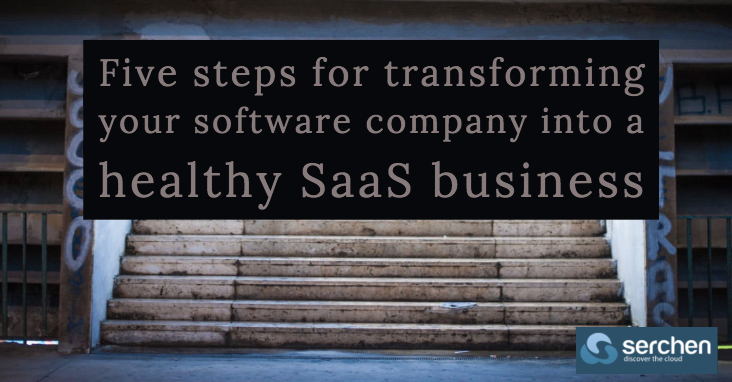 Don’t overlook these five essentials for making a successful transition to a healthy SaaS business. When you move some or all your software offering from an on-premises deployment model to offering it as a service in the SaaS model, you change more than just how you deliver technology. You transform your entire software business. Multiple departments and processes will feel the impact. Build a solid foundation for SaaS business success by understanding, preparing for and executing the transition. The rationale for this is that the business transformation is profoundly affected by the adoption of a recurring revenue model and the ongoing operational costs required to maintain or buy the SaaS hosting platform. Both considerations eventually have a significant impact on the operations and success of the SaaS business. A healthy SaaS business should enjoy an expanding revenue stream based capturing new customers, as does any business. But more important than ever, the healthy SaaS business requires strong renewal rates and customer expansion by maintaining a strong recurring revenue stream. Getting here requires a new approach to thinking that is nothing short of a transformation. For a traditional software provider, this transformation doesn’t have to occur overnight, since the existing revenue stream can buoy financial results. But over time, the business will need to adjust to ensure a strong SaaS business. Below are 5 steps to help guide this transformation. What are the costs involved in moving to SaaS? How will it impact revenue streams? What metrics are necessary to evaluate your SaaS success and business growth?